SERGON sets off on a quest to wipe out a faction of worshipers of The Six, old gods that required human sacrifice to bring people back from the dead. He finds himself sneaking through pirate camps and confronted with his worst nightmare in a life or death mission that may be his last. 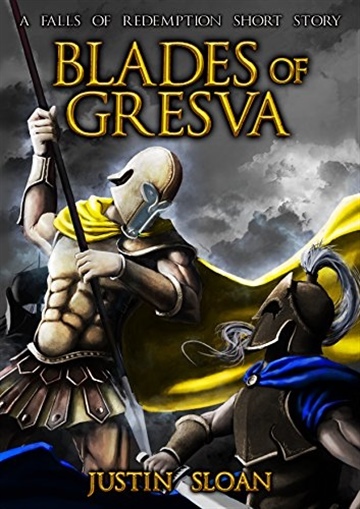 As Game of Thrones is based on the Wars of the Roses, the Falls of Redemption trilogy is an epic military fantasy series based on Ancient Greek wars. This prequel features fast-paced action, assassins, and pirates. Justin Sloan writes vampires and shifters, often in the genres of post-apocalyptic, urban fantasy, epic military fantasy, and supernatural thriller. He is a video game writer (Game of Thrones; Walking Dead; Michonne, Minecraft: Story Mode), novelist (Justice is Calling, Hounds of God, Falls of Redemption, etc. ), podcaster, and screenwriter. He has written on taking writing from hobby to career in his book Creative Writing Career and its sequel, and how veterans can pursue their passions in Military Veterans in Creative Careers. Justin studied writing at the Johns Hopkins University and UCLA after five years in the U.S. Marine Corps, and now works as a writer and editor for Military.com.